This is a 1933 Pelikan 110 piston filler in White Rolled Gold-filled cap & barrel (very rare). Green celluloid visualated window. Medium/fine nib. Very minor box wear here & there, otherwise new-old-stock, mint in original form fitted box. Item #11 in Catalog #85. 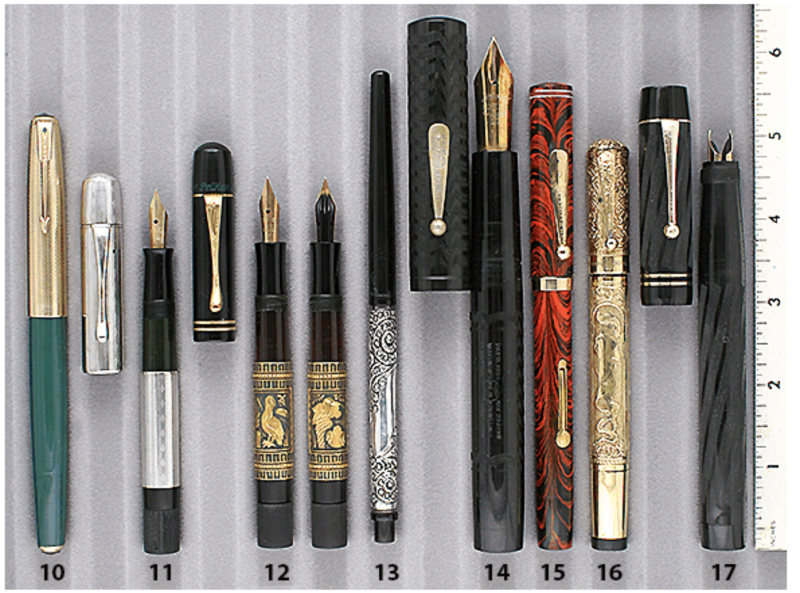 This entry was posted in Vintage Pen, Vintage Pens and tagged Catalog, Catalogs, Extraordinary Pens, Fountain Pens, Go Pens, GoPens, Pelikan, Vintage Fountain Pen, Vintage Fountain Pens, Vintage Pen, Vintage Pens. Bookmark the permalink. Follow any comments here with the RSS feed for this post. Post a comment or leave a trackback: Trackback URL.